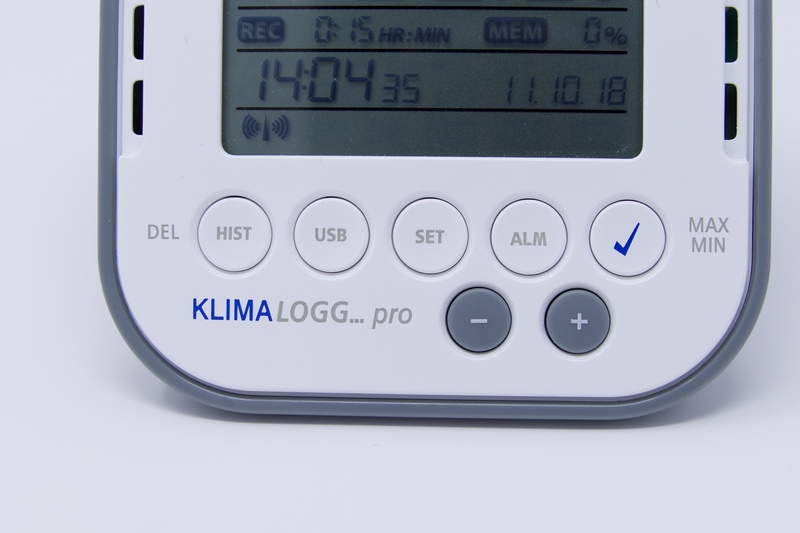 The "KLIMALOGG PRO" from TFA allow you to accurately monitor temperature and humidity values – measured by the device itself and up to 8 separate wireless transmitters. 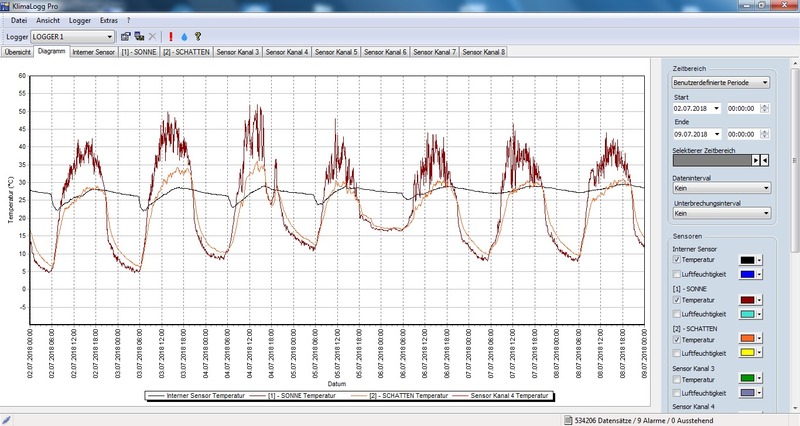 This allows you to record important climate data over longer periods of time and to create prescribed test reports. 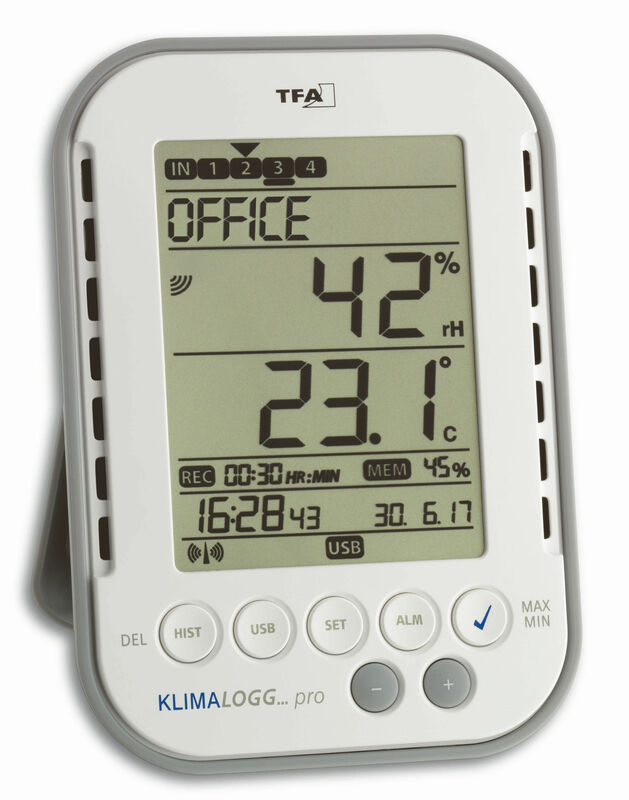 The transport or storage of food, the storage of medicines and blood in pharmacies, hospitals and laboratories, the cultivation of plants in nurseries and greenhouses, the monitoring of sensitive works of art and historical exhibits in galleries and museums or the climate control of server rooms, these are all possible areas of application for the "KLIMALOGG PRO". 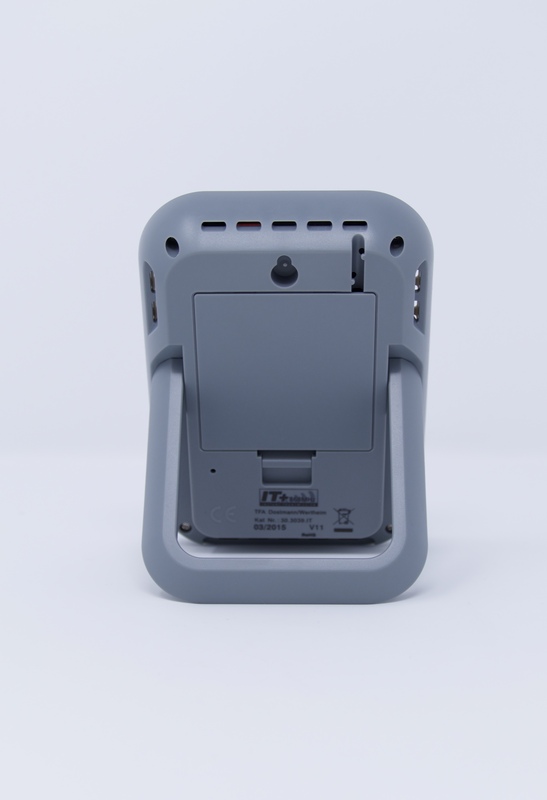 The large memory is sufficient for 50,000 data records and thus offers extensive data documentation. 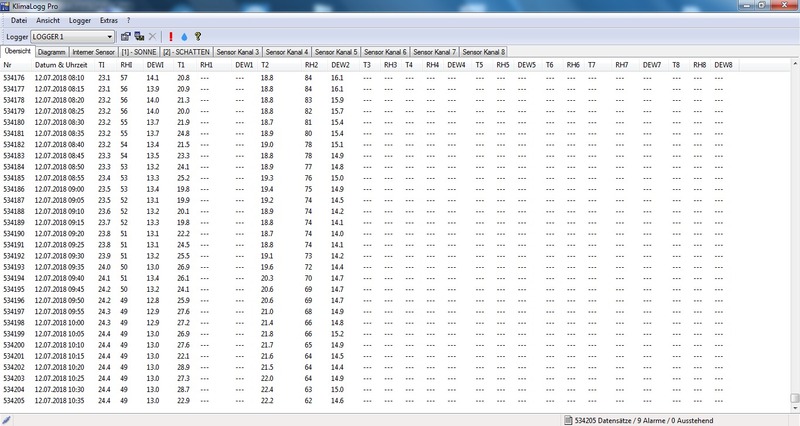 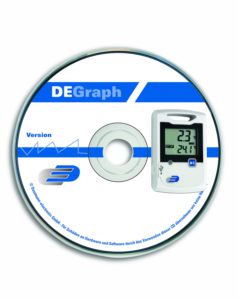 With the "KLIMALOGG PRO" software, the data can be transferred to a PC via a USB transceiver, documented and displayed as a clear diagram. 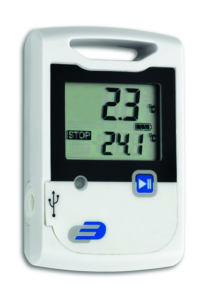 When values go over or under adjusted set range for temperature and humidity, you will be alerted by an alarm. 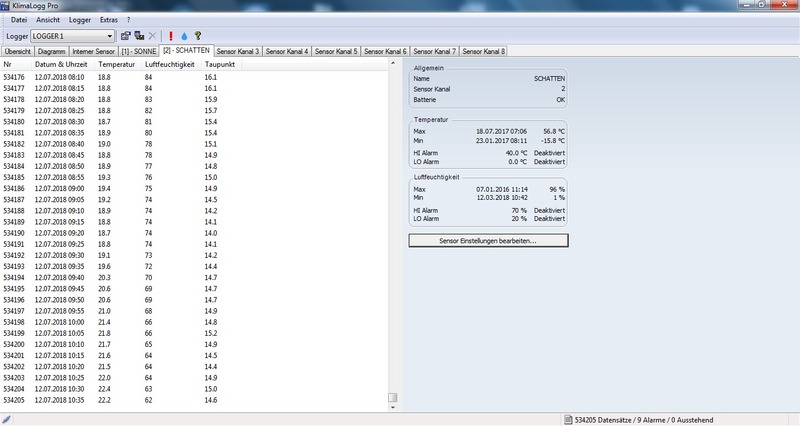 Maximum and minimum values can be displayed with the date and time of storage, as well as the dew point. 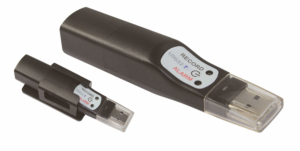 A switching output allows the control of external devices. 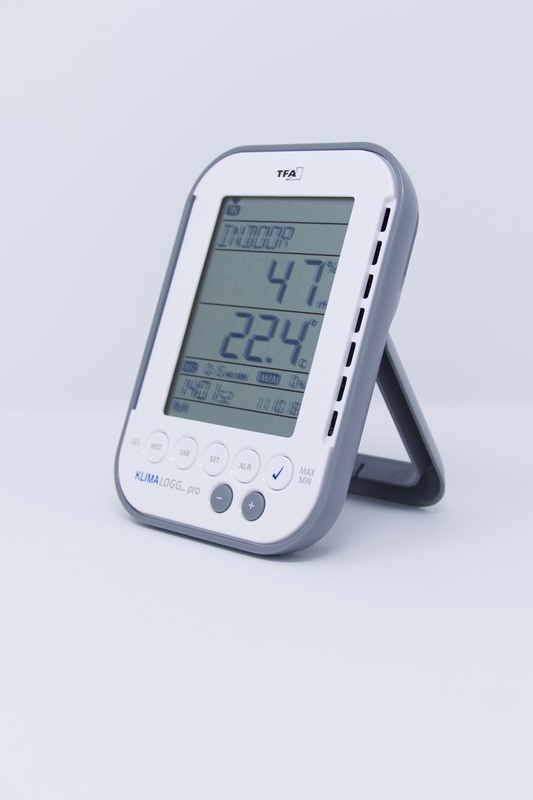 Radio-controlled clock with seconds, date, time zone ±12 hrs.